This delicious dessert of grains, pulses and dried fruit, referred as Asure or Ashura – Noah’s Dessert-, is most probably one of Turkey’s most famous dessert. According to the legend, Noah made it on the Ark by combining whatever ingredients were left on the ark. 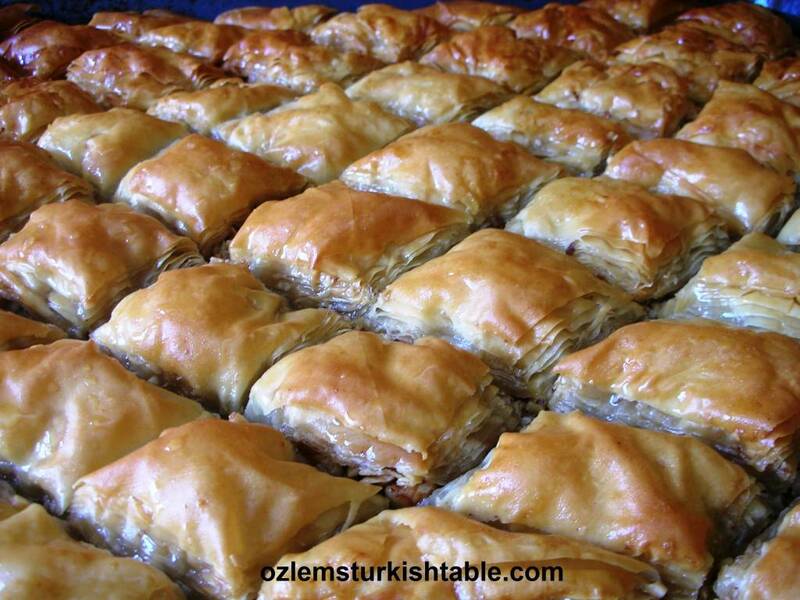 It is also the traditional dessert to serve on the 10th day of the Muslim month Muharrem, the first month of the Islamic calendar. Asure is always made in large quantities and shared with friends and neighbors. Though the ingredients list is pretty rich, I believe whatever grains, pulses and dried fruit you have in your pantry will do. And if you are short of time, why not using good quality pre-cooked chickpeas and beans in cans; I am all up for it if it helps making this wonderful dessert. Adding the pomegranate seeds over the top give a festive touch and make the dessert refreshing too. This recipe is a slight adaptation from dear Ghillie Basan‘s The Complete Book of Turkish Cooking; one of my favorite authors. 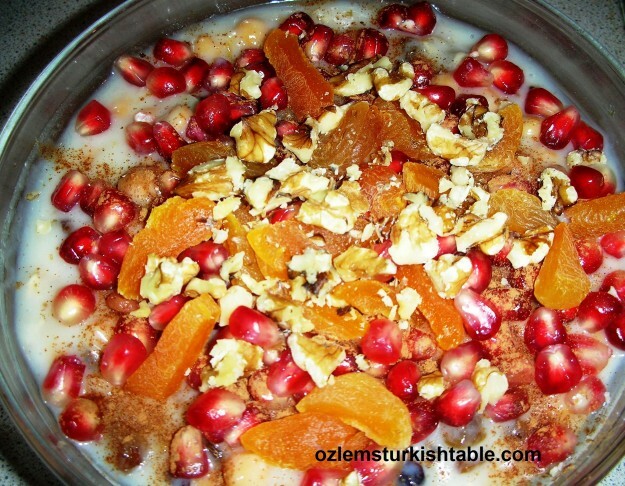 Than you Ozlem for this recipe… I will try to do it sunday! Oops. Sorry. I just read the part about using canned beans. I have white kidney beans. Are those similar to the fava beans? 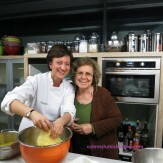 Hi Deborah, canned white beans should perfectly be fine, I used them before too. You can also use normal water; if you can get rose water extracts, you can add a teaspoonful of it too. 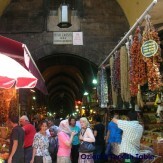 There is plenty of flavours already here, it should still taste lovely. And yes, I did use canned chickpeas too 🙂 hope you enjoy it! Can we use pearled barley? Hi, yes you can, I used it, it was delicious! Sultanas are similar to raisins, they are plummer and a little more juicier; you can always use raisins too – hope it helps! Can I use quinoa instead of barey or bulgar wheat ? Is it possible to blend the cooked legumes. 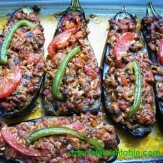 I had Ashure in turkey and loved it, but now i want to do it at a dinner party where I do not know all the guest’s taste and I am trying to think of making it look and feel smoother,but have it retain the same taste. Thank you. Merhaba Mary, thank you for stopping by; quinoa would bring a different texture than barley but combined with all that nuts and dried fruit, it should still taste nice and near to Asure. I couldn’t understand what you’ve meant by blending legumes, do you mean in food processor? I would avoid that and keep it as whole, retaining their shape and texture. Pomegranates and dried apricots work so well over the top as a decoration and their taste refreshen and complement Asure, I am sure your guests will appreciate your effort and your Asure, afiyet olsun! 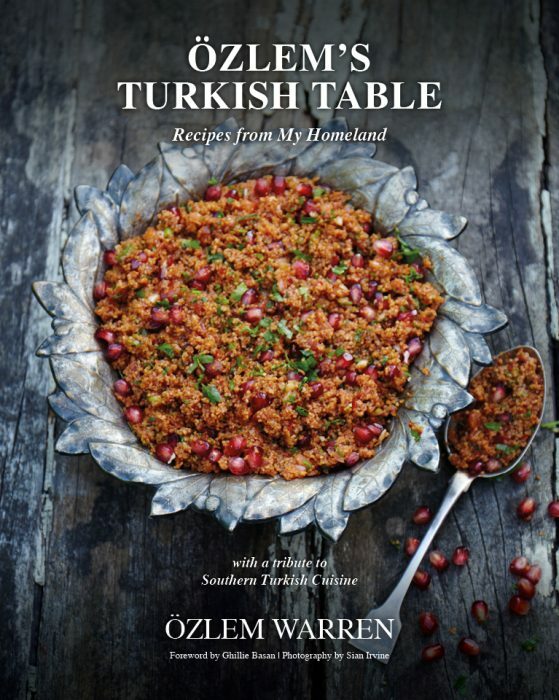 This recipe is a very slight adaptation of the recipe found in Ghillie Basan’s book “The Complete Book of Turkish Cooking.” It is customary to give credit to the original, otherwise you are plagiarizing. thank you so much for sharing my Asure recipe and your kind mention!